The combination of customized job-related education and supervised on-the-job learning provides a number of benefits for participating employers. On-the-job training along with job-related educational instruction gives employees a full understanding of their job — both the “how” and the “why”. Employees clearly see the impact their actions have on such important measures as productivity, quality, safety and customer service. 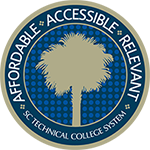 Eligible businesses can receive a South Carolina tax credit of $1,000 per apprentice per year for up to four years. Registered apprenticeship provides an opportunity for employers to build a structured, consistent training program that ensures reliable workforce performance that meets both organization and industry standards. Organizations committed to investing in their workforce experience increased employee motivation and morale. Companies sponsoring registered apprenticeship programs often enjoy a cluster of loyal, skilled workers who represent potential leaders for the organization. As apprenticeship participants hone their skills, employers experience a noticeable contribution to the bottom line through higher quality levels and productivity. Employees have a deeper understanding of their jobs and use this knowledge to best meet the business needs of your organization. As many industries face an aging workforce, registered apprenticeship ensures a system structured to successfully facilitate the transfer of knowledge from experienced employees to new recruits.